Today was awesome! 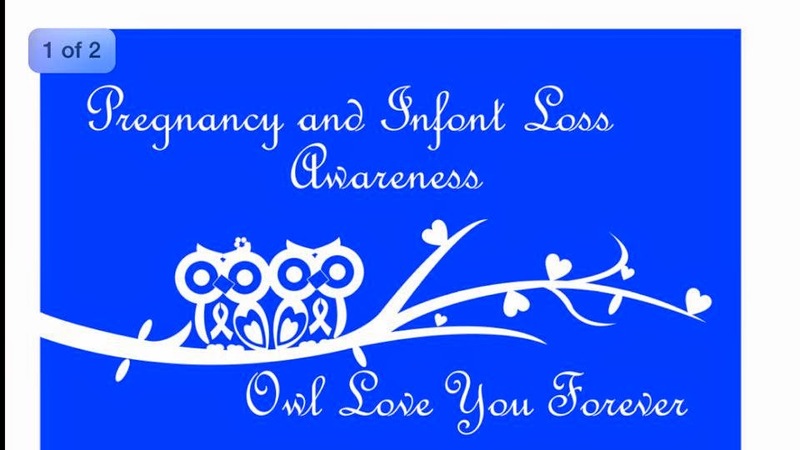 I had the honor and the privilege of running a 5K in remembrance of my Angel (lost at 8 weeks due to miscarriage) and of babies lost too soon. 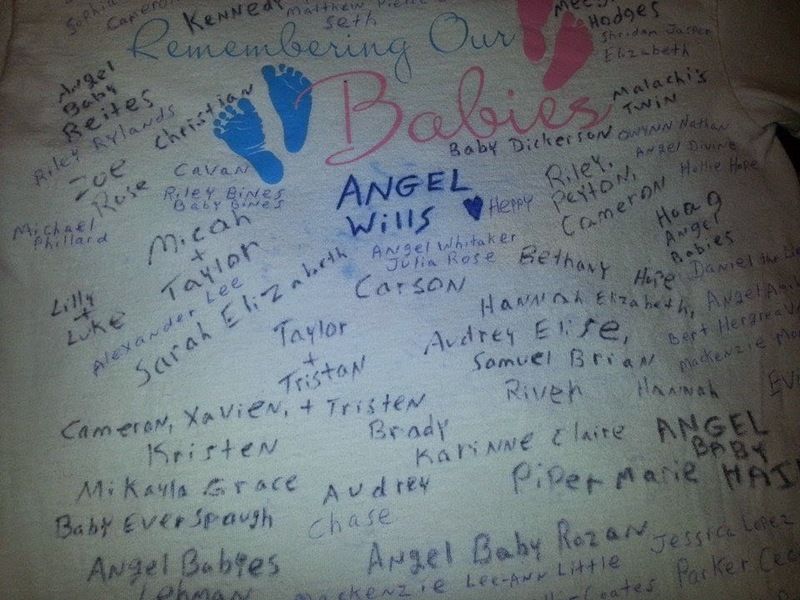 About a week before the race, I asked family, friends, and Facebook mommas in a variety of baby loss groups if they would like me to add their babies' names to my race t-shirt. 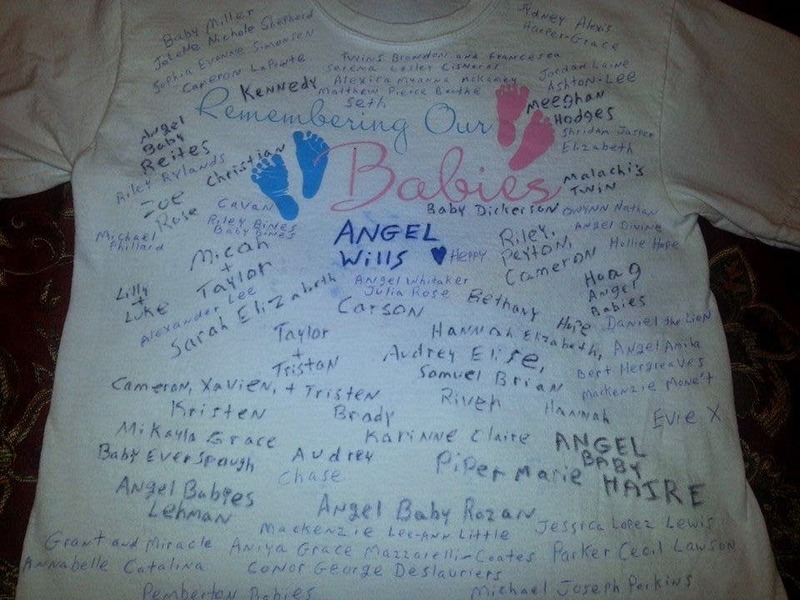 The response was overwhelming, and my race t-shirt was filled with the names of those claimed by early pregnancy and infant loss. 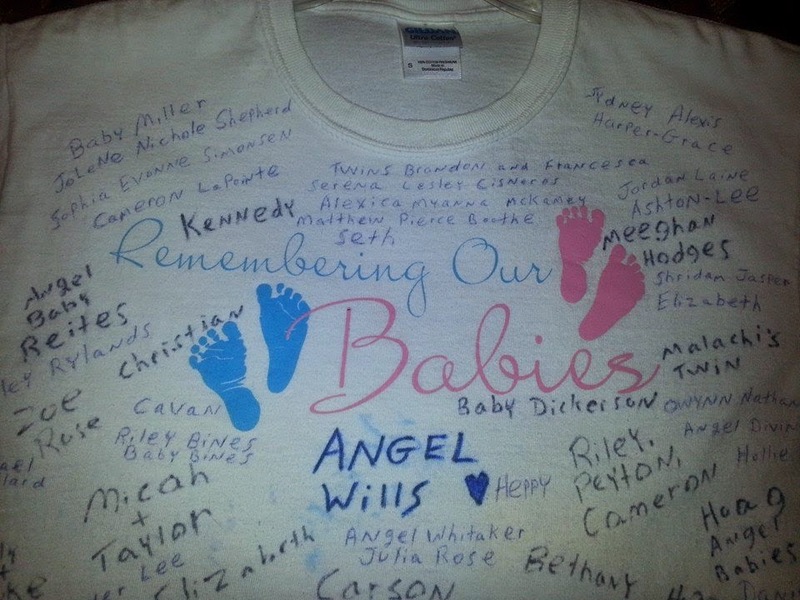 The names of all the babies on my shirt are listed below under today's forget-me-not. 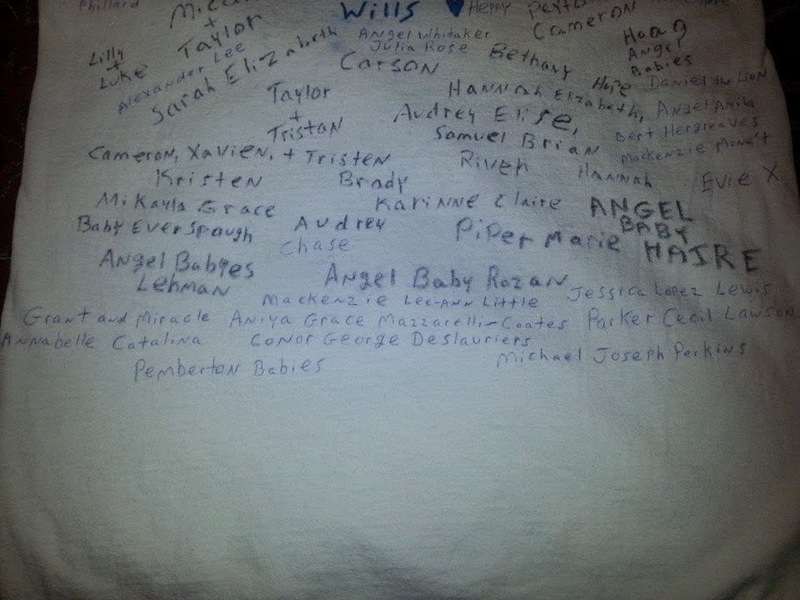 There are also close-ups of the shirt below if you are trying to find your baby's name. It was humbling and exciting to run for these babies and their mommas! This is the third year I have run this 5K, and I love that it is at the end of September right before October which is National Pregnancy and Infant Loss Awareness Month. The logo for the race shirt this year. I love it! This year, I brought a dear friend with me which made the day that much sweeter! 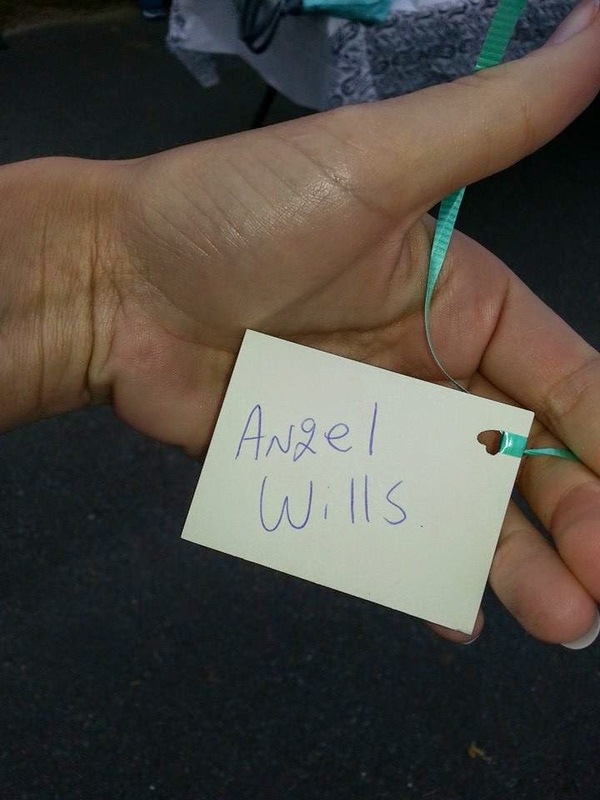 My friend Jaimee who came with me to remember Angel and babies lost too soon! This event is very well run! I never regret driving an hour to and then from Chatsworth, GA, for this. I always enjoy the time spent remembering our babies, the moment the balloons are released, the great 5K course, and the awesome raffle (I win something each year!) that follows the 5K run and the two mile walk. If you ever get a chance to be in this area at the end of September, I highly recommend this event! Check out the Remembering our Babies "A Walk to Remember" on Facebook. Getting ready for the balloon release! 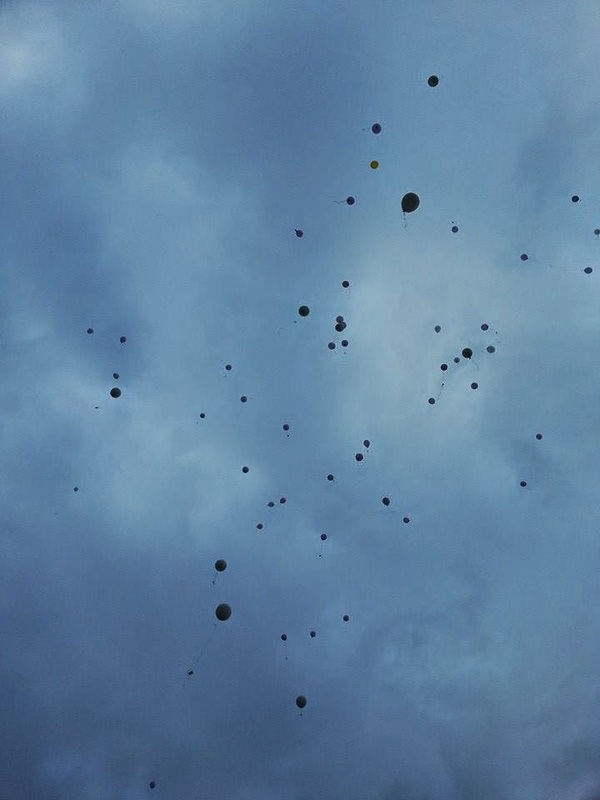 The balloon release - overcast but beautiful. After the balloon release, it was time for the 5K. I am never more motivated to run my best than when I run in remembrance of Angel and babies lost too soon. I run thinking about Angel. I run thinking about the day I learned something was wrong with my pregnancy, and I run remembering the day I had the ultrasound that showed her still heart. I run thinking of my friends who have endured a similar loss, and I run with the names of all the babies whose names are on my racing shirt at the forefront of my mind. And always, I am praying that my run honors those babies and their memories - especially the memory of my Angel. And I really believe that is why my run times for this 5K have improved each time I've run this race. In 2012, I ran this course in 35:15. In 2013, I ran it in 32:15. And this year, I ran it in 29:41 at a pace of 10:16. This beats my best 5K at 29:58! I couldn't be more please with my performance - for Angel and for all babies lost too soon! As I already said, today was awesome, and I enjoyed spending it with some awesome people! 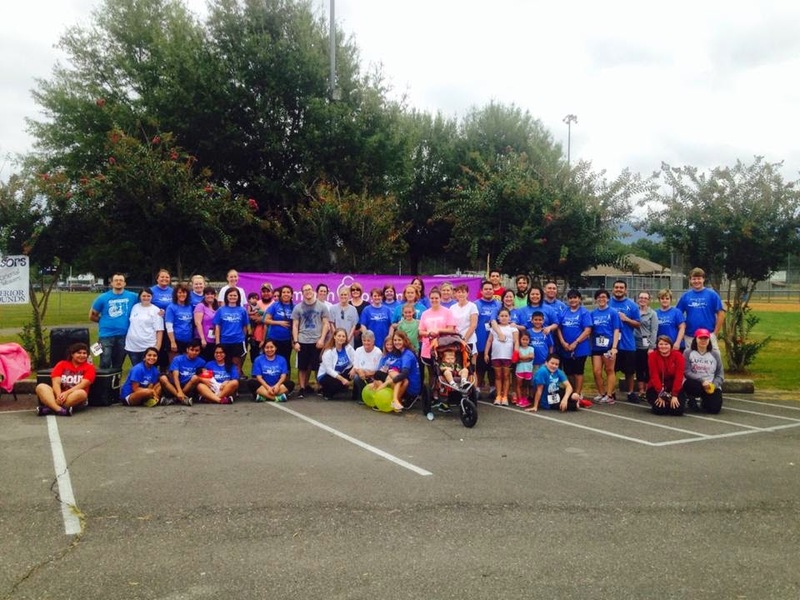 Runners and walkers at the 5K! 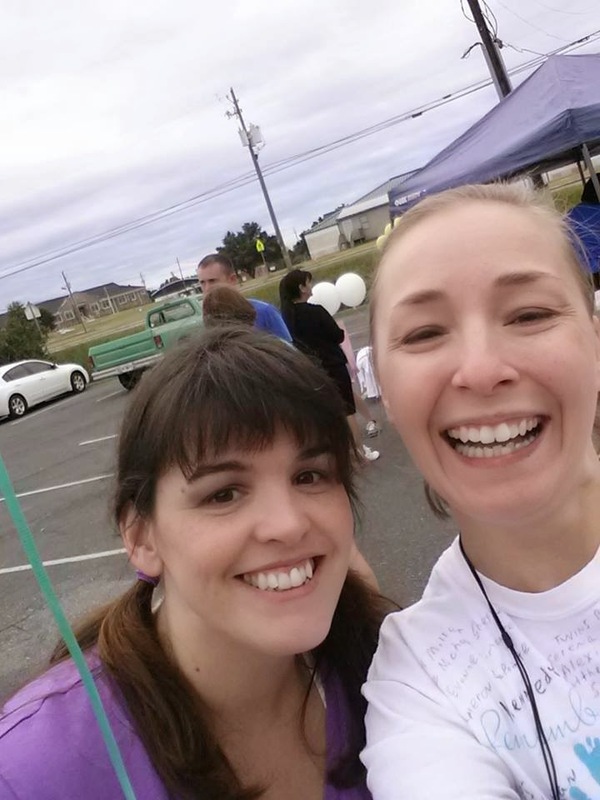 Thanks to everyone who came to A Walk To Remember and to Angela Blalock for making this happen every year. 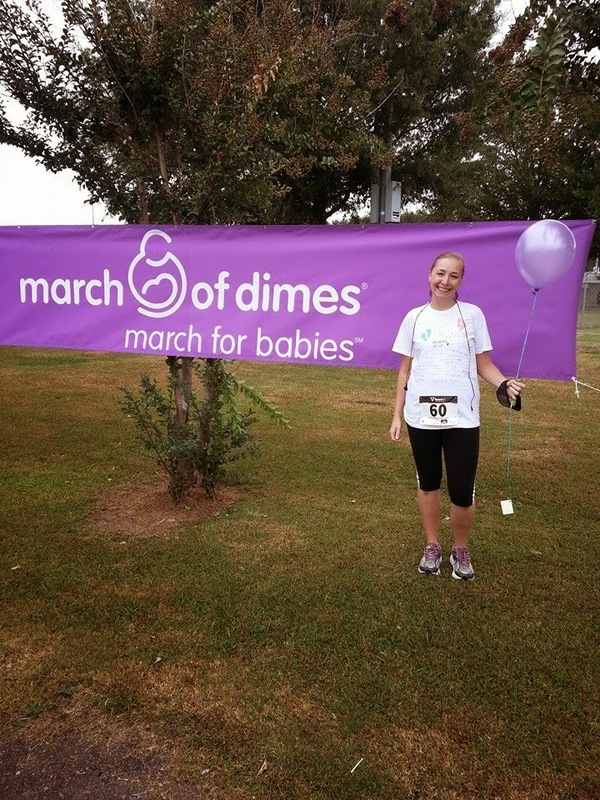 Thank you for supporting the March of Dimes and helping to improve the health of babies. You are truly a blessing and we will always remember our little angels! Debbie Childress, Community Director. It's so sweet of you to do this for all the lovely babies lost too soon. Also, awesome running time! You rock!